Once seed catalogues start arriving and a few sunny days set the birds to singing, it's hard to acknowledge that it will still be a matter of weeks (if you're lucky and live in warm climes) or months (if you're in snow country) before you can start planting dahlias for summer blooms. 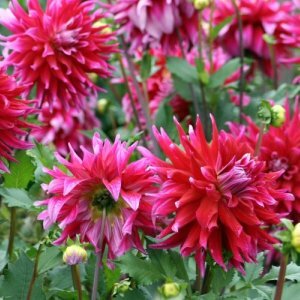 But once you've visited Lynch Creek Farm's web site and chosen the dahlias you want to plant, there are things you can do soon to prepare your garden for growing beautiful dahlias. As soon as the soil is thawed enough for you to get a sample of it, you can take it to your local Cooperative Extension office and get it tested for pH. The pH scale is a system of measuring how acidic or basic a material is. It ranges from 0 to 14; a perfectly neutral substance, such as pure water, is 7 on the pH scale. Numbers under 7 are acidic; above 7, they're basic, also referred to as alkaline. Dahlias prefer a slightly acidic soil that measures 6.2 to 6.5 on the pH scale. To increase the acidity of your soil, if it measures higher than 6.5 pH, you can add aluminum sulfate or iron sulfate to the soil, or you can add a four-inch layer of sphagnum peat moss, available at garden centers, to the soil and till or spade it in to a depth of six inches. 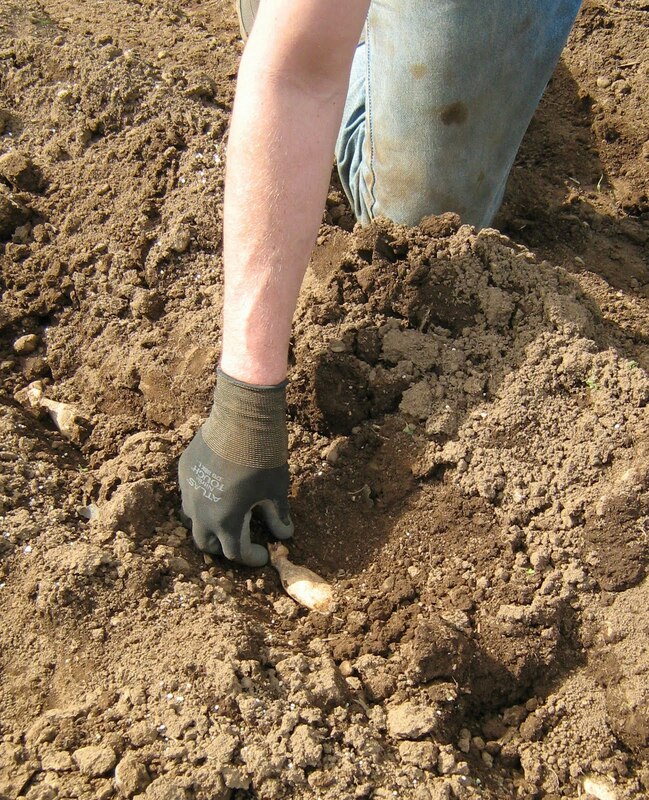 This will increase the soil acidity for several years, and also make the soil lighter. Adding sulfur to the soil also helps make it more acid, but it takes sulfur at least a year to affect the soil's pH level. 6.2 to 6.5 pH for the best foliage and blooms. If your soil is too acid, you can add ground limestone or hydrated lime. The latter works faster but it's easy to overdo it. Wood ash will also raise the soil's pH. If your soil is acid, it's likely that you have evergreen trees; keeping the ground free of needles will keep the soil from increasing in acidity. Keep in mind that changing a soil's pH is a slow process and one that must be repeated frequently. The good news is that dahlias are quite tolerant and will grow in a wide range of soils; the pH factor is only one aspect of your soil. Perhaps more important is the type of soil you have. The folks at Cooperative Extension, who represent your state's land-grant university and usually work with counties or parishes within the state, can also advise you about your soil type. Dahlias prefer a light sandy soil. To make your dahlia tubers happy when you plant them, use amendments such as compost, peat moss, well-aged manure and sand to help lighten heavy soils. If it's still too cold or wet to work your soil, you can at least locate sources for soil enhancers, and go back to dreaming dahlias.